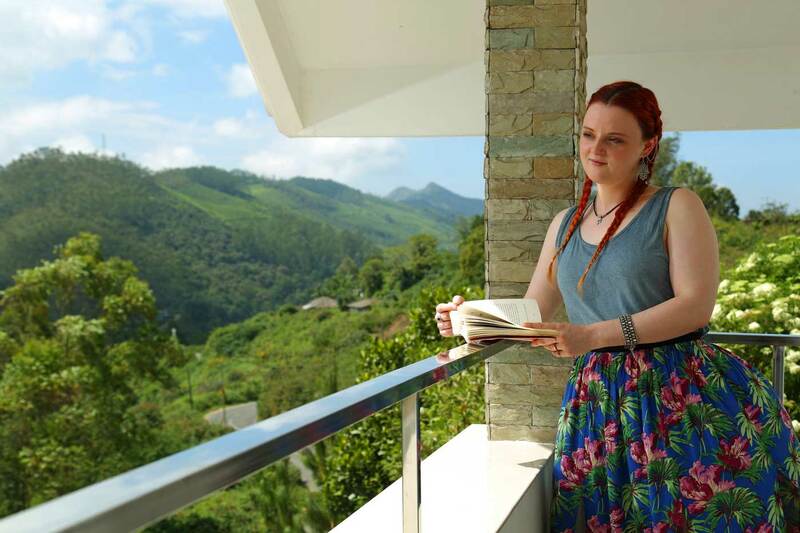 Elysium Garden Hill Resort – as its name suggests, offers a perfect setting of blooming nature unfolding the natural beauty of Munnar. 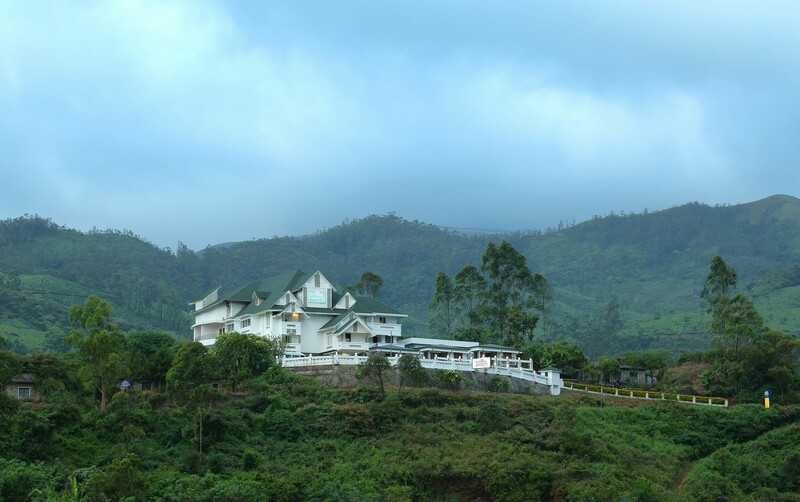 Cozily nestled in the midst of hills and streams, the resort offers mesmerizing views of the misty terrain. 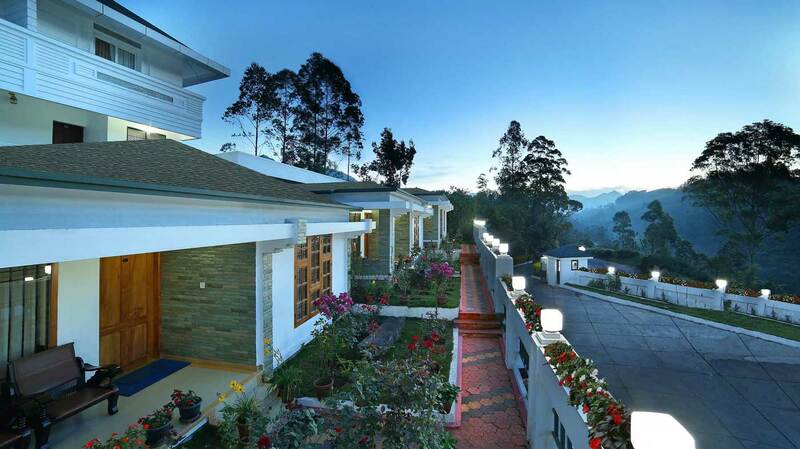 Close to the fascinating Munnar town, the ambience, offers a perfect setting to enjoy an idyllic beautiful family retreat. 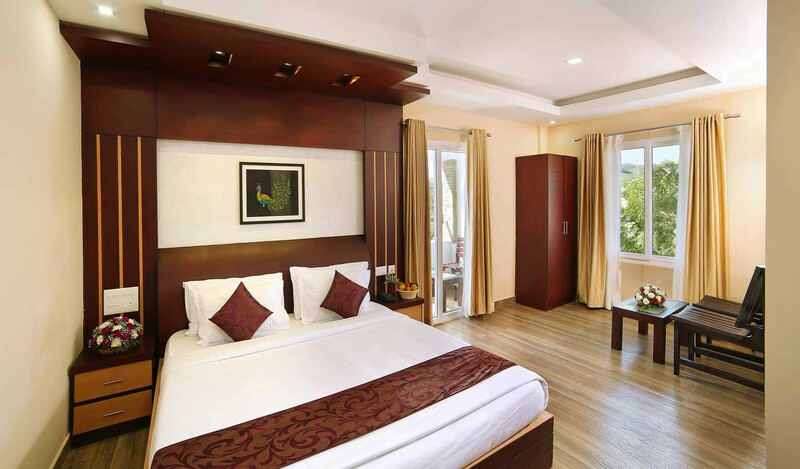 Spacious well appointed luxury rooms with all modern amenities beckons nature lovers to laze around and wake up to the sound of chirping birds and waterfalls all in the confines of your room. 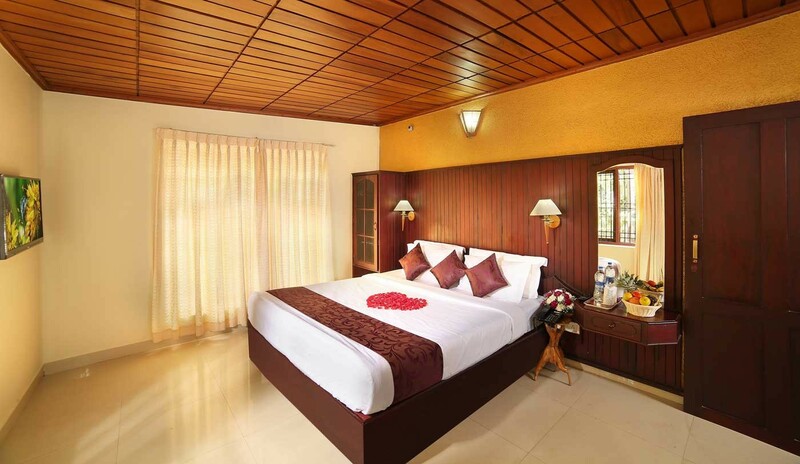 The delightful ambiance assures you some delightful moments with your family and friends. The age old culinary expertise of the land with the spicy rich epicurean delights and aromatic flavours at the multi cuisine restaurant leaves little room for the hungry souls. 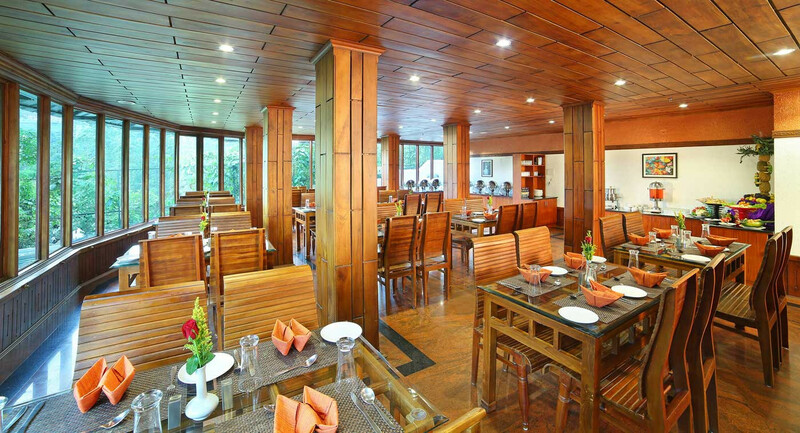 Dine in leisure surrounded by the natural beauty of the cool, inspiring environs all in good taste. 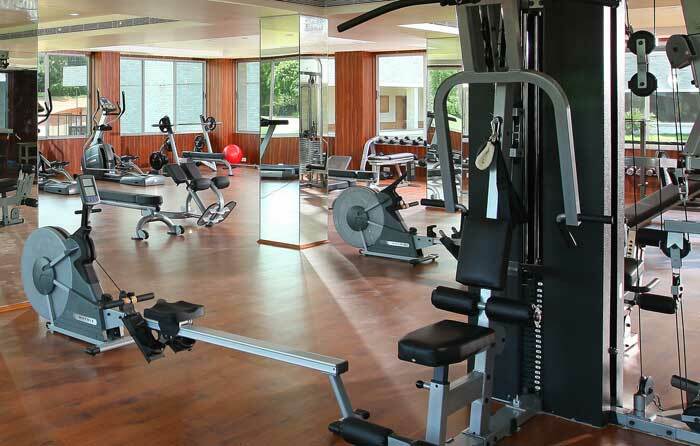 A well equipped Health Club is the perfect place to bring your mind, soul and body in harmony. A welcome break from the world out there. 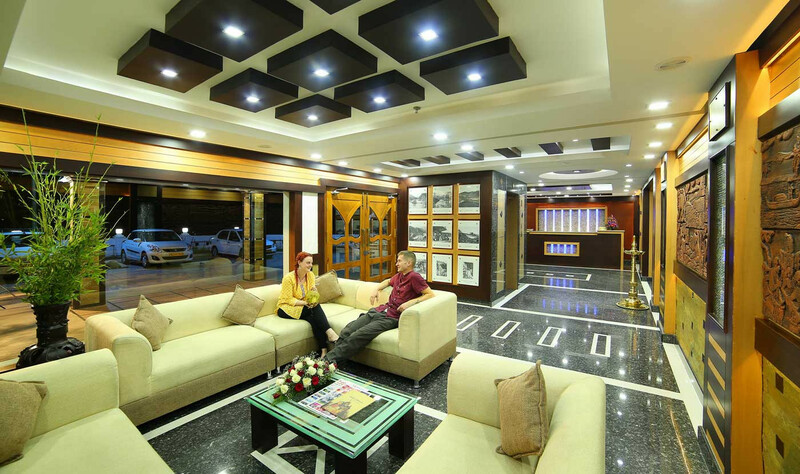 Treat yourself to the warm hospitality and exemplary service in sync with a perfect ambiance of blissful solitude. A cozy retreat, far away from the hustle and bustle of city life. Set amidst scenic, calm and peaceful surroundings, Elysium garden is an amazing experience to its guests. Exclusive private cottages well furnished cozy interiors holds a very private space to be your own self. Lean over your private balcony staring across the endless mountain folds vanishing into the misty clouds. Some things cannot be expressed in words. The stunning majestic views of tea plantations, the rolling hills caressed by blankets of mists all brings you closer to mother nature. Walking barefoot on the dewy grass, reach out to the passing clouds wading through the misty terrains captivating the smell of fresh earth enjoying the simple pleasures in life. Business with pleasure is here to stay. 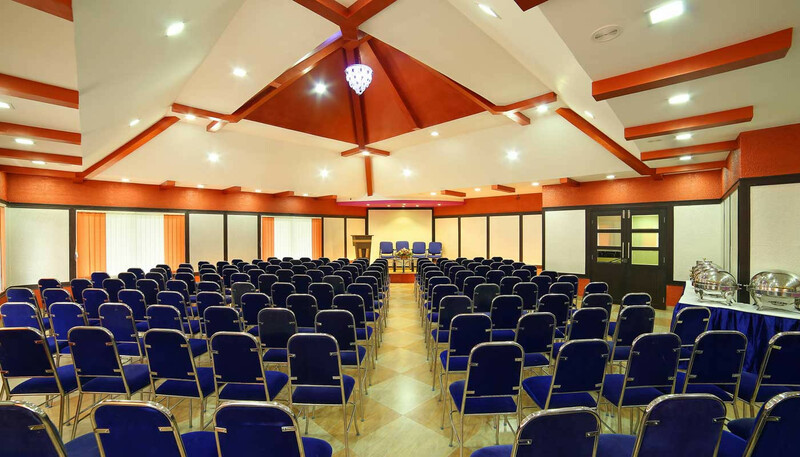 A stat-of-art Conference hall with a seating capacity of 150 pax. with professional assistance to aid you. Exclusive views of the world’s best flora and fauna – Neelakurinji, the endangered Nilgiri Tahr in Eravikulam National park and wildlife movements in their natural habitats. 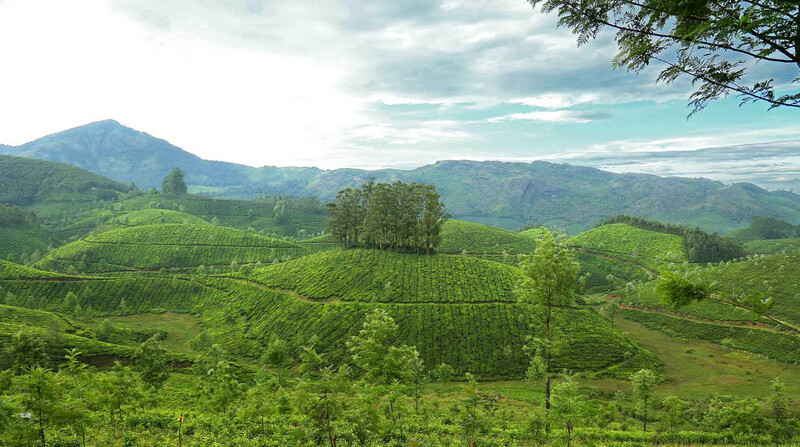 Rich in bio diversity Munnar offers spice plantations, organic fruit farming that gives you an incredible sensation. The Indo-Swiss Livestock Project attributes high yielding breeds of cows. Cascading waterfalls generate a whole lot of water reservoirs like Matupetty, Kundala and Pallivasal.